1. To refer a friend, do I need an account with Ammo.com? Yes, you need to have an Ammo.com account. Don’t have an account? It’s simple - sign up here - and you too can begin referring friends! 2. How and when do I receive my credit? After your friend has completed their first qualifying order of $200 or more, a $10 credit is issued to your Ammo.com account. Your friend needs to be a new Ammo.com customer as only their first order earns you a credit. 3. What is a qualifying order? 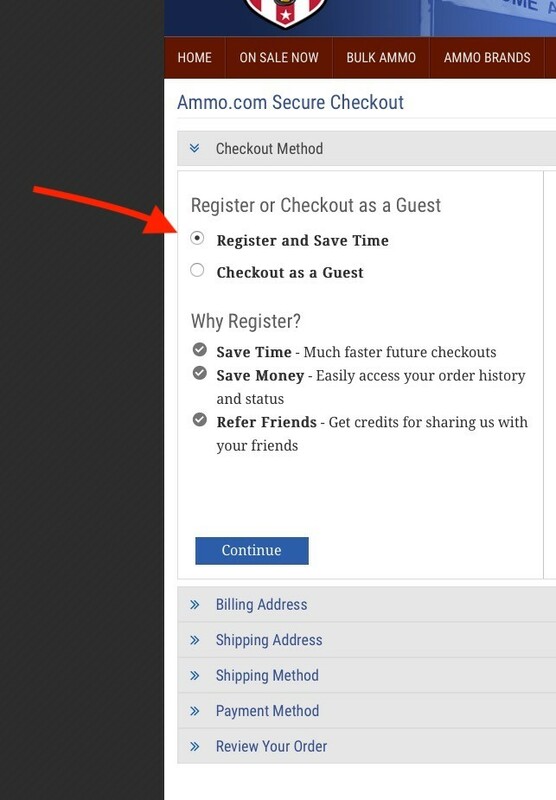 Your referred friend needs to create an account (not checkout as a guest) when placing their initial order of $200 or more. This is a safeguard against abuse. If your referred friend does not create an account as part of their initial order, then you will not get a $10 credit for referring them. 4. How much in credits can I receive? There's no limit to the number of friends you can refer! Keep in mind tho that anyone you refer needs to be a new Ammo.com customer, as only their initial qualifying order of $200 or more earns you a $10 credit. 5. What happens if my friend cancels their order? If your friend cancels their order, you won't receive a credit. Credits are only given for successful referrals. 6. How can I check the status of my credit? You can check your current referral and credit status by visiting your account. 7. Is there an order minimum when I want to use my credit? No, there isn't an order minimum. You can apply whatever credit you have in your account towards future orders. After all, you earned it! 8. Where do I get banners for promoting this on my website or blog? Grab your banners for promotion here: Static Banners | Animated Banners. You first choose which banner size and style works best for your website or blog. Then you pair it with your custom Refer-a-Friend link by changing the "RAF" value with your URL. You can also download all of the available banners in a ZIP file here: Static Banners ZIP File | Animated Banners ZIP File. 9. How do I know that my custom link for referring my friends is working? Copy your custom Refer-a-Friend link to your computer's clipboard. Open a new private browser window i.e. one which doesn't store cookies. Paste your custom link into that new window and press enter. You will see your name show up on the landing page if the custom link is working properly. 10. Can I get notified when I earn credit? Yes, you’ll get an email with your current balance and the credit you’ve earned whenever a friend you’ve referred makes their initial qualifying purchase. Make sure the "Referred Friends Email Notification" box is checked inside your account. 11. Who do I contact if I have further questions or if there is a problem? Please email our friendly customer service team at customercare@ammo.com. When emailing, please also include the email address of your Ammo.com account. Ammo.com retains the right to withhold a credit in case of a suspicious order or referral.